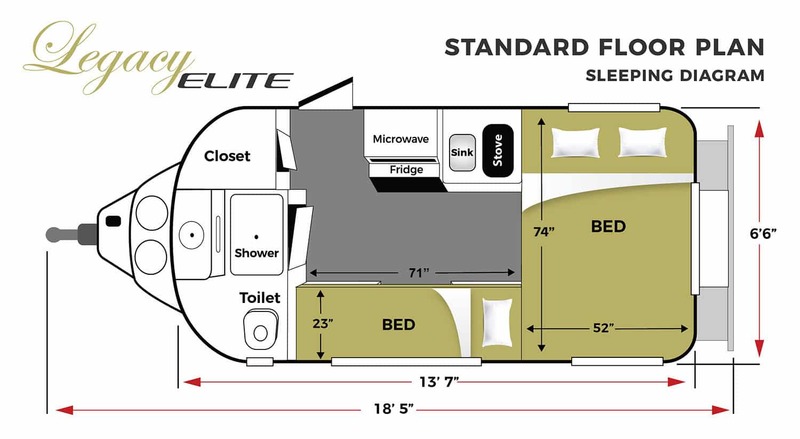 The 2019 Oliver Legacy Elite is available in the Standard Bed Floor Plan. This model comes with a large rear table area for 4 people which can be converted to a 74″ x 52″ bed. 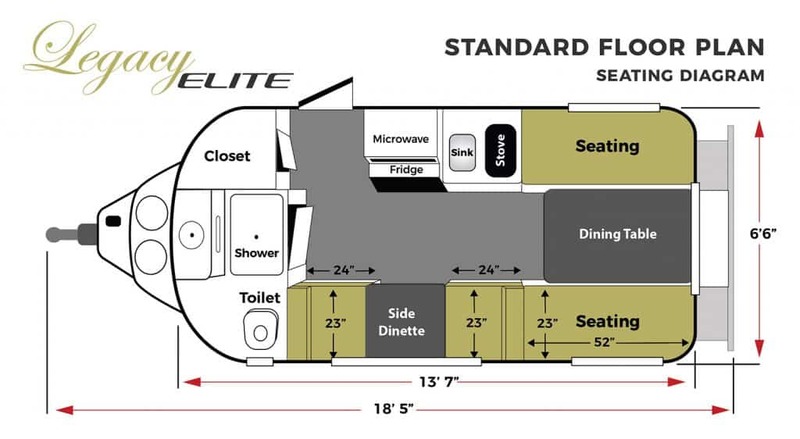 This double-hulled insulated unit comes with thermal pane windows, central heat, TV/Stereo and lots of storage space to mention a few of its features. With your choice of upholstery fabrics and floor coverings you can make your own personalized one of a kind Oliver. If you are interested in downloading the Legacy Elite brochure we have one available! Simply fill out a short form and you will be taken to the download page. We appreciate all feedback and comments.